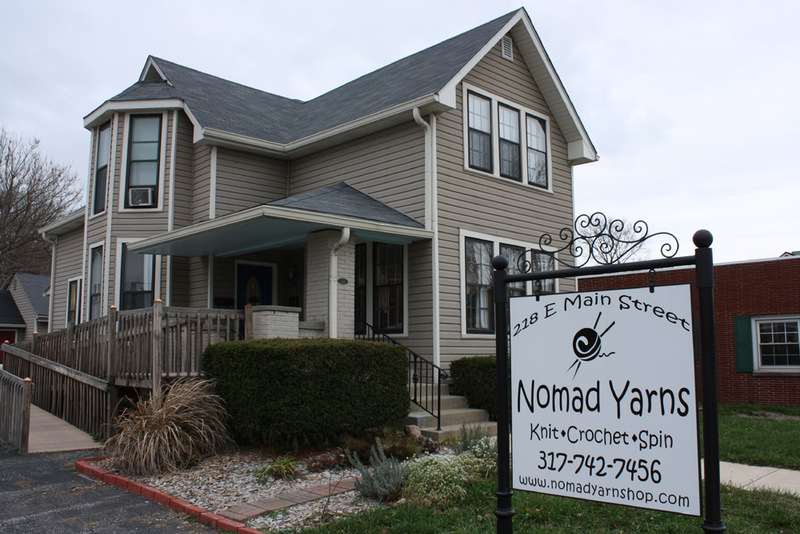 As someone who doesn&apos;t knit, I could have felt out of place entering Nomad Yarns in Plainfield. But the minute I walked into the grand-old-house-turned-knit-shop, I felt the comforts of home from a bygone era. The two-story, 120-year-old structure soothed my nostalgic soul with distinguished creaking sounds from the shiny hardwood floor, old-time corner cabinets and plush chairs and sofas on which to relax or get lost in a project. I traveled to Nomad Yarns because of the Hendricks County Convention and Visitors Bureau&apos;s HollyDays Cookie Trail. The shop is one of 13 county businesses that feature a delicious cookie recipe for you to make, bake and share. I collected the cookie code and then entered it on our website to download or print the recipe. If you have your smart phone, you can scan the QR code. I could tell you which local celebrity&apos;s cookie recipe I downloaded from Nomad Yarns, but that would just spoil the surprise. 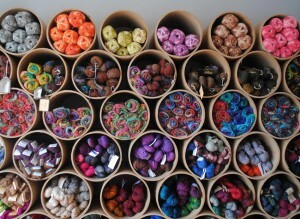 The inventory at Nomad Yarns impressed me. 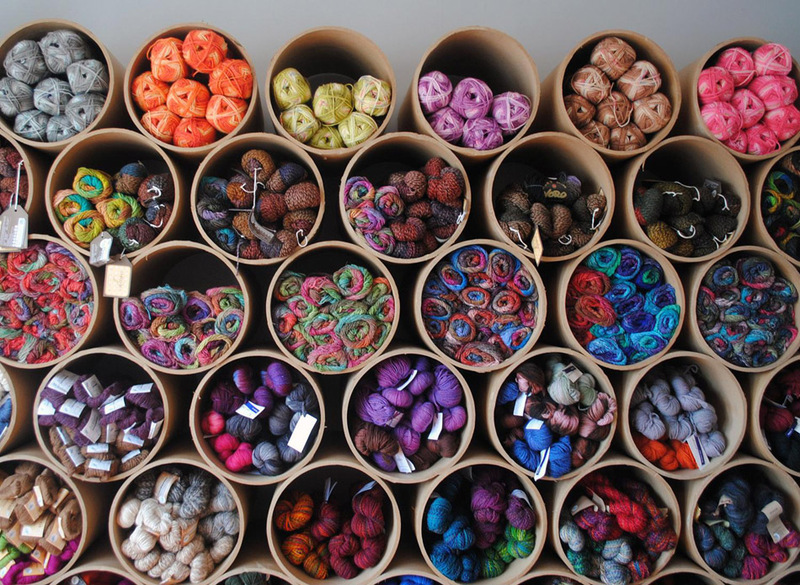 Owner Erica Kempf stocks 20 to 30 brands of yarn and tens of thousands of yarn balls. They&apos;re everywhere. Six stories of cylindrical bins are stacked from wall to wall in the "dining room" portion of the house, complete with an antique light fixture. The multitude of colorful yarn, which nearly reaches the high ceiling, brightens the entire shop, Kodachrome style. Nomad Yarns seems to have it all: sock yarns, 10 kinds of natural fibers for spinning with drop spindles or spinning wheels, knitting and crocheting notions, dyeing equipment, knitting needles and crochet hooks. The shop features books and patterns, including samples devised by Kempf. What I liked most was the placement of the materials. Yarns adorned corner cabinets, dressers, chest of drawers and window seats that evoked the feeling of home. The holidays are a perfect time to stop in. Among the many samples are one-skein projects that can be quickly made into special holiday presents. Gift certificates are also sold. I told my wife about Nomad Yarns, and her eyes lit up when I mentioned the frequent classes on Wednesday evenings as well as the free Thursday night knit and crochet club. Private classes are available, and all take place in-house on that comfortable furniture. Kempf explained to me how she worked hard to renovate the 1890 house in preparation for its July 2010 opening. She said it was a labor of love. And when she says that, she&apos;s not just spinning a yarn.